I’m into my second week of my 10K training and after finishing up my 6 mile run on Saturday, and not feeling like I was dying, I was so amazed. 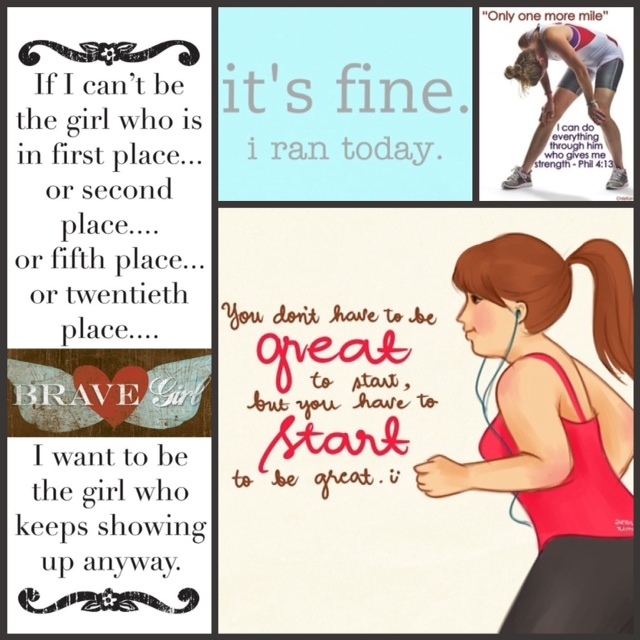 I had a girl tell me she loved my collage and couldn’t wait until she would like her running. 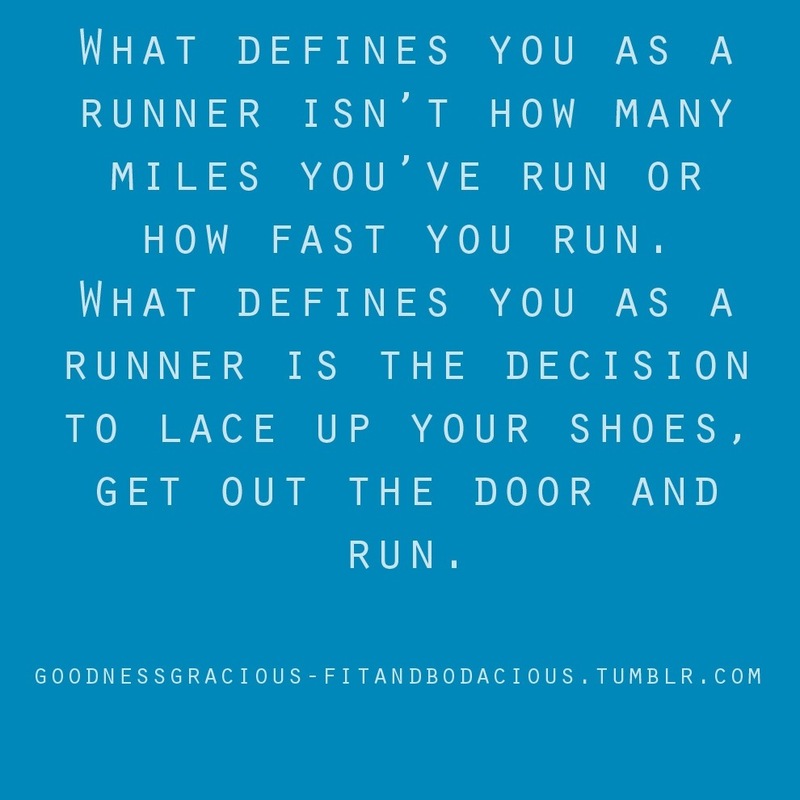 If you ever would’ve told me I’d be excited to see running quotes and posters, or pushing myself to run hills on the treadmill to train to be faster … oh, five years ago, I would’ve laughed at you. Even when I liked to take aerobics classes in high school I opted for speed walking because I hated running. But I’ve caught the bug and now I love how it makes me feel. I also love that my some miracle I don’t hate myself if I’m not the fastest one out there. Slowly but surely my speed is increasing and the progress motivates me that I’m doing my best and that’s all that matters. So, I said all that to say this…. Wow 6 miles in your second week of training is amazing! Way to go!